If you're child likes watching you cook or can't keep their hands out of your cupboards then this may be the toy for them. Logan loves the kitchen (far too much) and has been lucky enough to receive a very cute Cook & Play Potsy from Leapfrog to test and review. The Cook & Play Potsy is very brightly coloured and caught Logan's eye straight away. So here is what we thought. First impressions for Logan were fantastic. The potsy was delivered in brown wrapping paper so when I opened it up in front of him and the bright green box with the blue and orange potsy inside was revealed he was over like a shot to investigate. Logan normally doesn't bother when I'm opening parcels so I think he was pleasantly surprised by this one. It didn't take me long to get potsy out of the box and there was minimal plastic but the cable ties did bug me but then again they always bug me those things. The cook & play posty includes one posty (the bowl), one lid, one spoon, one piece of cheese, broccoli, peas, sweetcorn and a tomato. Potsy has an on off switch which also controls the volume to either quiet or loud although when you switch it to loud it isn’t that bad as the speaker is on the bottom of potsy and when it's resting on my carpet you can't really hear him clearly which was a little bit of a problem but might be different when resting on a wooden floor! The potsy bowl itself has cute little eyes and a big smile which the spoon has as well so all very friendly for your little one. When putting on the lid there is a sensor switch which is activated and potsy will say "lid on" or "lid off" as many times as you like. This is quite good at teaching children opposites so very handy for learning. I like it that the food you get with potsy is all healthy and mainly vegetables, fingers crossed it'll teach Logan to love his veg. Logan loved filling potsy up with all the food and then taking it all back out again. He would sit and do this quite a lot and I think maybe the fact that potsy talks when you drop food in definitely helped to encourage him. Depending on which setting you switch potsy to (cooking mode or learning mode) you will get songs, food facts and counting and using the spoon to stir usually sends potsy into a right old sing song. This is a great toy to promote imagination and playing by yourself or with a friend. It helps to introduce food and healthy eating, opposites, counting, pretend play, colours and motor skills. I dare say it may even ignite a passion for cooking which would be handy when your older and need your child to cook food for you for a change (if only things worked like that but you just never know)! Logan really did love this little cooking pot and it always kept him occupied when in his play pen. The tomato was his favourite veg (or fruit!) which is quite funny as he'll eat anything with tomatoes in it for his lunch and dinner. Maybe just coincidence but we'll never know! The Cook & Play Potsy is suitable for ages 12-36 months and can be purchased for RRP £17.99 from Leapfrog's own online shop. 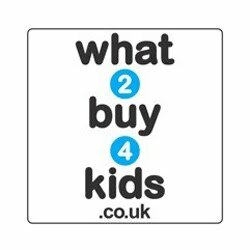 Other retailers include Amazon, Toys "r" us, Boots, ELC, Play.com etc so plenty to take your prick from and you may even find a bargain! Overall we love the cook & play potsy. It's really fun and interactive and you can always join in on the cooking with your child so a game you can play together as well as your child playing on their own. The only problem we had was the sound was not as clear when the potsy was sitting on our carpet but as I said it may be different on a wooden floor. Pricing is fair and you will always find a bargain from one of the suppliers who stock potsy. Please visit http://www.leapfrog.com/ for more products and information. You can also see what Leapfrog are up to on Facebook and Twitter so why not pop over and like their page. Please tell them The Breastest News sent you, thank you! 1 comments on "Review: Leapfrog Cook & Play Potsy"
Hey there, love the blog. I am a new follower!